Do you have what it takes to write a No. 1 New York Times bestseller? Stephenie Meyer does. Her novel of alien abduction, The Host (Little, Brown, 619 pp. $25.99), shot to the top of the Times after its publication last spring. Can you guess which of the following lines appear in the novel? Learn the answers on Monday when a review of The Host appears on this site. You know how I wrote yesterday about five books I was planning to read this week while dog-sitting for literary friends? Those books are going to have to wait a day or two. My friends left behind a copy of David Wroblewski’s first novel, The Story of Edgar Sawtelle (Ecco, 562 pp., $29.95) www.edgarsawtelle.com. And although I’ve been reading the over-the-top reviews of this bestseller for weeks, I’d somehow missed that – to oversimplify – this is a canine version of Hamlet in which a) Ophelia is a dog and b) the story is told partly from “Ophelia”’s point of view. Is Wroblewski’s novel closer to Shakespeare or Millie’s Book, the book former first lady Barbara Bush wrote in the voice of a White House spaniel? I will sort this out soon on One-Minute Book Reviews. To avoid missing this and other reviews, please bookmark this site or subscribe to the RSS feed. Last summer I considered doing a special beach books edition of the Delete Key Awards, which this site hands out every March to authors who aren’t using their delete keys enough. I decided that I wasn’t masochistic enough. But I may revisit the idea this year, and if you’d like to nominate a candidate, you can do it by leaving a comment on any post or by sending an e-mail message to the address on the “Contact” page. What beach books have burned you this summer? How Bad Is Laura and Jenna Bush’s Children’s Book About Reading? Did you see Roger Sutton’s evisceration of Laura and Jenna Bush’s children’s book in Sunday’s New York Times Book Review? It was everything reviews in the Times should be but rarely are: bold, witty, interesting, authoritative and utterly persuasive. Sutton’s comments were such a contrast to most reviews in the Sunday Times – many of which are timid and inflationary – that they threw into relief a central problem of the section: The Times often chooses reviewers who have more expertise in a subject area than experience as reviewers. Sutton has expertise and deep reviewing experience. What a pleasure the NYTBR would be if all of its critics had his skill and courage. One-Minute Book Reviews reviews books for children every Saturday. 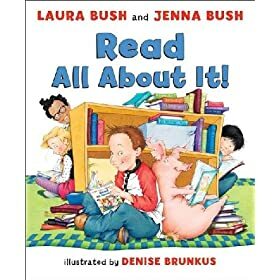 Occasional posts on children’s books may appear for cause during the week — the cause in this case being that the Bushes’ book is the No. 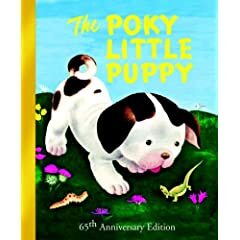 1 children’s bestseller in America and links to newspaper reviews may go dead after a week or two. Do We Need ‘Black Box’ Warnings for Toxic Memoirs? You know that “black box” warning that the Food and Drug Administration requires drug companies to put on the labels of some medications? The one that means that a drug may carry a significant risk of causing serious harm or even death? Lately I’ve been wondering if we need a similar label for books. A label that means: Warning! This book makes claims nobody can verify. Reading it may cause serious harm or even death to your faith in the author’s credibility. The publisher’s response to questions about the book may cause nausea. For several weeks the newspaper the Australian has been publishing articles that cast serious doubt on many of the statements that Ishmael Beah makses in his A Long Way Gone, including his assertion that he was a child in Sierra Leone for two years – the foundation of his book, billed as a “memoir.” Beah and his publisher, the Sarah Crichton Books imprint of Farrar, Straus and Giroux (FSG), have responded to these articles in ways that are startlingly cavalier or, as one news service put it, “blasé.” Asked if the firm planned to answer one report by the Australian, a senior vice president of FSG joked to the New York Observer that he was “responding with an ulcer.” How funny will this be to people who bought the book in good faith that they would be reading the true story of someone who spent years as a child soldier? The insensitive responses may tarnish the reputation of FSG, widely regarded as one of the two most prestigious publishers in the U.S. along with Alfred A. Knopf at Random House. They also show a lack of respect for readers, who deserve a better explanation for what is and isn’t true in A Long Way Gone. The “blasé” attitude means, in part, that you need to approach with caution any FSG memoirs, particularly those from first-time authors or others who lack established reputations. How should critics respond to the indifference by Farrar, Straus and Giroux? Some may stop reviewing FSG books for a while. This would penalize authors and others who are blameless in this fiasco. So I’m going to the adapt the FDA’s idea: Put the equivalent of a “black box” warning on each FSG memoir that is reviewed on this site until the responses by the firm reflect the gravity of the situation. If you’re not a professional critic, you have another option – return your copy of A Long Way Gone to your bookstore, Starbucks or other vendor. Even if you no longer have your receipt, the circumstances are unusual enough to warrant a refund without it. FSG has sold more than 600,000 copes of A Long Way Gone. How long do you think it would take the company to start providing better answers if just one percent of those readers showed up at bookstores tomorrow and asked for their money back? More recently the newspaper The Australian raised questions about the timeline of your story www.theaustralian.news.com.au/story/0,25197,23082274-2703,00.html. You responded to these by saying, in part, “I am right about my story. This is not something one gets wrong. … Sad to say, my story is all true” www.publishersweekly.com/article/CA6524214.html%5E. The Australian disputes this and challenges your criticism of the paper in a statement posted by Publishers Weekly www.publishersweekly.com/article/CA6525128.html. My questions include: How could you and your friends have been close enough to overhear that conversation yet avoid detection “for hours” by the rebels? If you could see a rebel “nod” and others “nodding” in agreement, how could the rebels could not see you? In your time as a solider, did you take any any notes that would help you remember conversations in such detail? Or were you relying only on the “photographic memory” that you say in your book that you have? If you took notes, how did you hide them while you were a soldier and get them out of the country later on? I would appreciate any clarification you can provide.